Cryptocurrency exchange Gemini is making the addition of more coins to its exchange a focus in 2018, according to a Bloomberg News report out Thursday. Kraken also plans to add to the number of coins trading on its platform as part of a broader expansion, according to a person familiar with the company’s operations. Gemini and Kraken, two of the largest cryptocurrency exchanges in the US, are looking to add to the number of coins listed on their respective platforms. 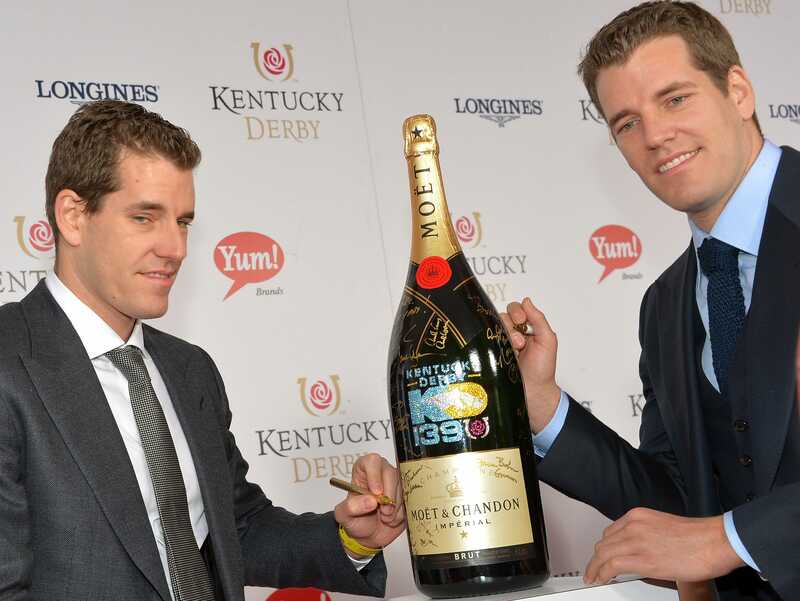 Cameron and Tyler Winklevoss, the founders of crypto exchange Gemini, told Bloomberg News on Thursday that the company plans to make the addition of more digital currencies a focus in 2018. Gemini, a New York-based firm, facilitates 1.2% of all bitcoin trading, according to CoinMarketCap. The exchange serves as the basis for Cboe Global Markets’ bitcoin futures market. Kraken also plans to add to the number of coins trading on its platform as part of a broader expansion, according to a person familiar with the company’s operations. The San Francisco-based company, which handles $US434 million in trading volume per day, is also looking to hire 800 people in 2018, Business Insider previously reported. Kraken supports trading for bitcoin, ethereum, XRP, and a number of other alternative cryptocurrencies. Adding coins can sometimes be viewed as a political move within the cryptocurrency community, because it can be interpreted as a stamp of approval by the exchange of a given crypto. When Coinbase added bitcoin cash trading to its platform it faced backlash from so-called bitcoin maximalists, who disagree with the technological and ideological foundation of bitcoin cash, which split from the main bitcoin in August. A spokeswoman for Coinbase told Business Insider the addition of more coins is not a priority at the moment. More coins will likely translate into more trading volumes, which means more money for the exchanges. Already, they are making money hand over fist. As reported by Bloomberg, the top ten largest exchanges generate as much as $US3 million from trading fees per day. “The exchanges and transaction processors are the biggest winners in the space because they’re allowing people to transact and participate in this burgeoning sector,” Gil Luria, an equity analyst at DA Davidson & Co, told Bloomberg. But regulatory uncertainty still hangs over the heads of crypto exchanges. The Securities and Exchange Commission said in a note Wednesday that some might have to register with the agency as securities exchanges. “If a platform offers trading of digital assets that are securities and operates as an “exchange,” as defined by the federal securities laws, then the platform must register with the SEC as a national securities exchange,” the agency said. The news is a double edge sword, according to a blog post by Dave Weisberger, the chief executive of CoinRoutes. If the regulator were to immediately declare that markets such as Gemini, GDAX, Kraken, Bittrex, and others operating in the US, had to immediately cease and desist trading of crypto assets, that would cause panic and investor losses, he said.